The Jewish Genealogical Society of Great Britain, Tracing Jewish Roots. The Scholes Family Website. An old Prestwich and Whitefield family. GENUKI Lancashire. Online Genealogy resources. St.Mary the Virgin C.E. Parish Church ( The historic church of Prestwich). 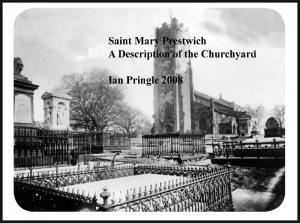 Historical records for Prestwich and Whitefield. The Manchester Web. A collection of Manchester Links. Old Maps. The 1848 O.S. Map online.